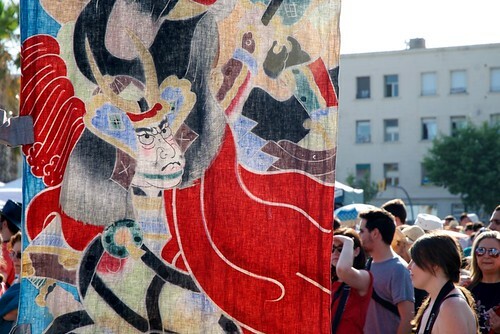 Japan, the country I fell in love with, and my hometown Barcelona, united in one event once a year, the Matsuri Japan. 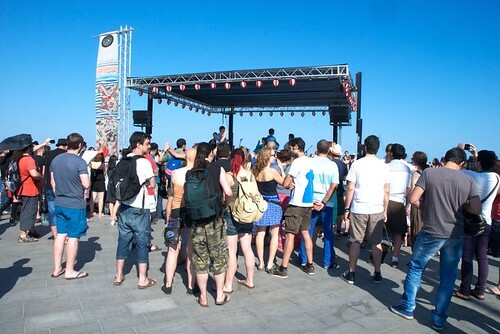 The Matsuri Japan took place on first weekend of June, and it’s the third consecutive year the event took place next to the beach in Barcelona. A two day event with plenty of activities, food stands, souvenirs shops and related. 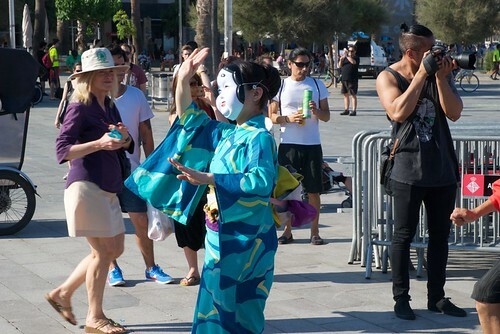 Sipping a cold can of green tea to trying on a japanese kimono or participating in a bon odori dance, japanese style, you can check all photos of the event through this post. Mikoshi at Matsuri Japan in Barcelona. Crowd waiting in front of main stage of Matsuri Japan. 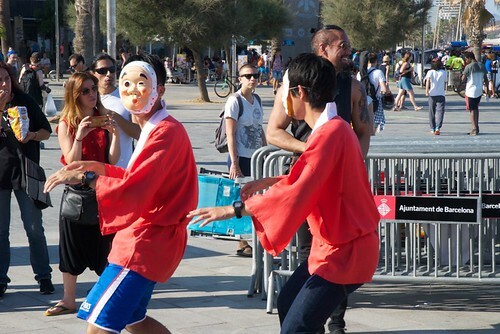 Meanwhile on the Barceloneta beach next to the event of Matsuri Japan, dozens of tourists relaxed and walk to the event. Many of them didn’t know about the event till they arrived, moved by curiosity. 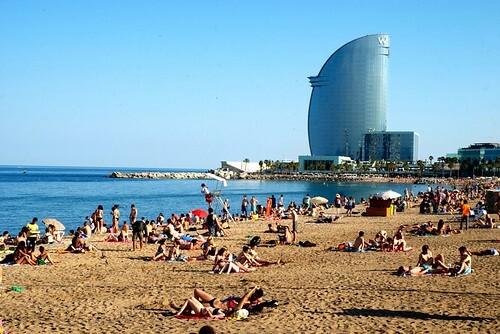 Barceloneta Beach and the W Hotel. 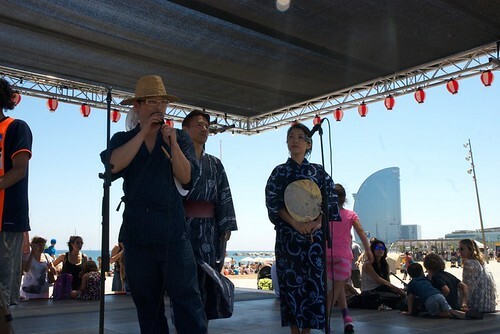 Main stage of Matsuri Japan in Barcelona. 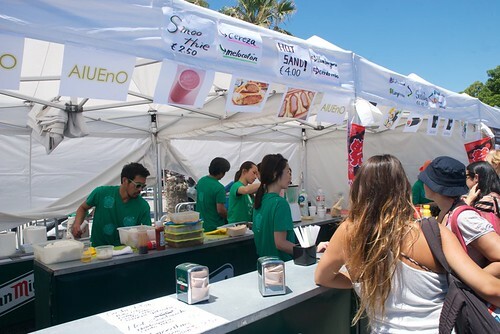 Food stands of Matsuri Japan in Barcelona. 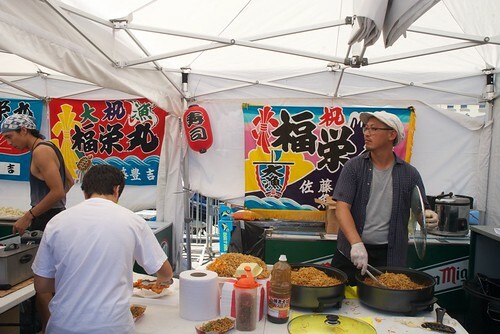 Yakisoba and more at Matsuri Japan. 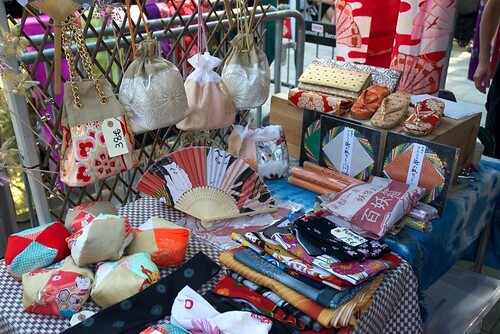 Japanese crafts stands at Matsuri Japan in Barcelona. 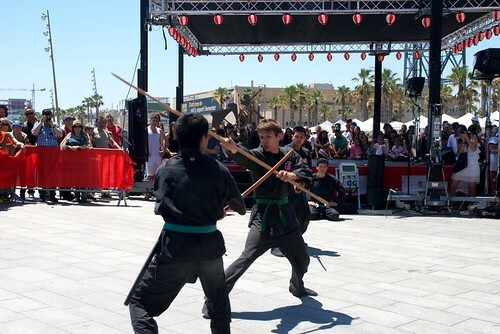 During the two day festival program we could see and participate in many events like martial arts exhibition, football practice, comedy shows and traditional dance Bon Odori amongst others. Okami Bujinkan Martial arts exhibition at Matsuri Japan. 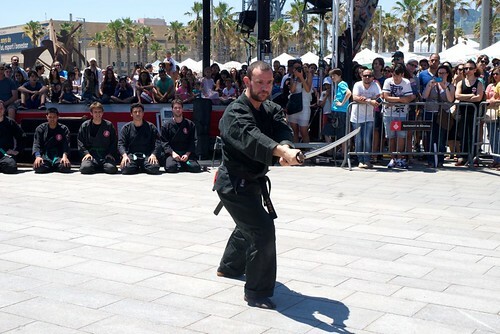 Okami Bujinkan Martial arts and katana exhibition at Matsuri Japan. 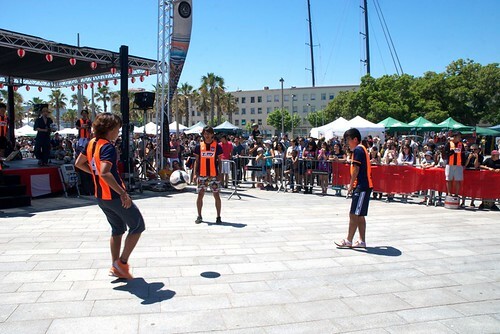 Players from Albirex Football Team at Matsuri Japan. 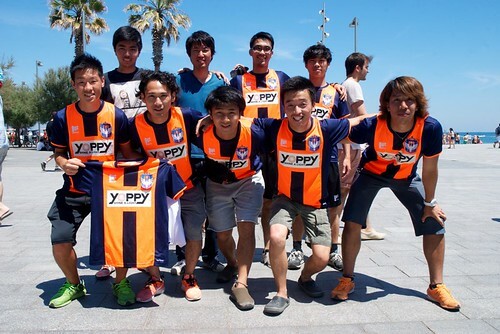 Albirex Football Team from Niigata. Bon odori at Matsuri Japan. 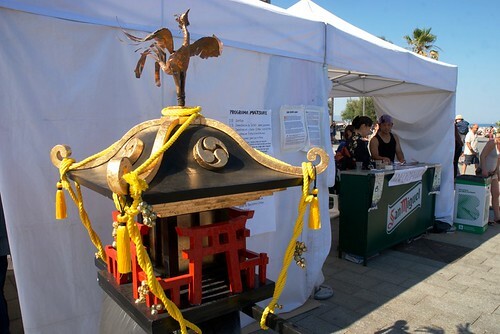 Representation of a japanese tradition at Matsuri Japan. 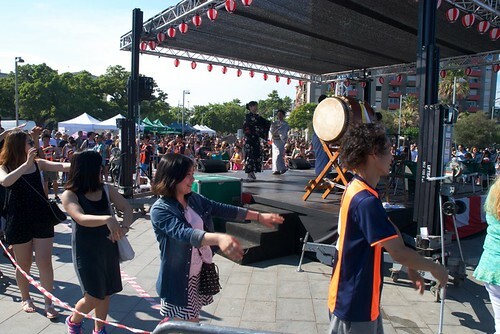 I was looking forward for the music part of the festival, as I experienced many times in Japan, and my favourite part of festivals, specially the Taiko (japanese drums). 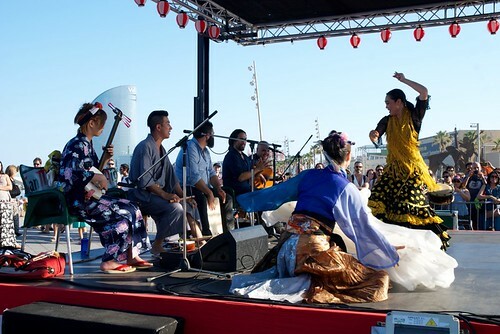 At Matsuri Japan they had even special guests coming from Japan to play at the event, like the young shamisen player Kawashima Shinobu and music artist Shogo Yoshii. Japanese drums, Taiko, at Matsuri Japan. 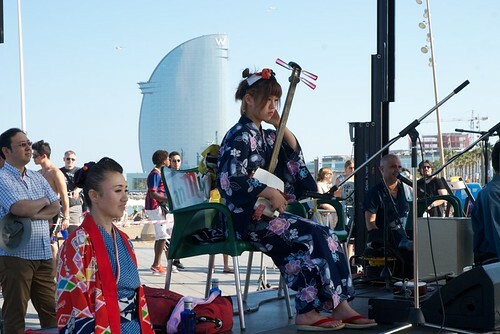 Shamisen player Kawashima Shinobu at Japan Matsuri in Barcelona. One part I wasn’t expecting and was incredibly interesting was the mixture of the japanese and spanish cultures. 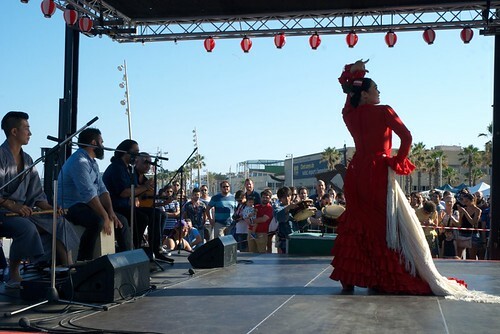 Japanese Flamenco dancer accompanied by both spanish and japanese music instruments, reminded me the popularity that spanish culture has in Japan. Flamenco is really popular amongst for japanese. 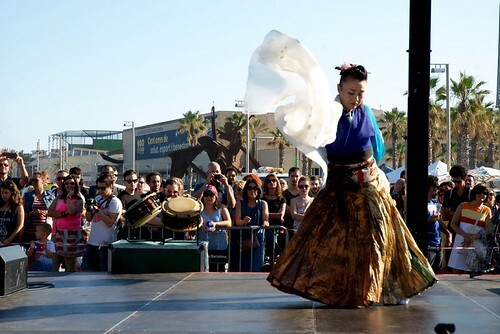 Japanese dance and music at Matsuri Japan. Mix of cultures at Matsuri Japan. 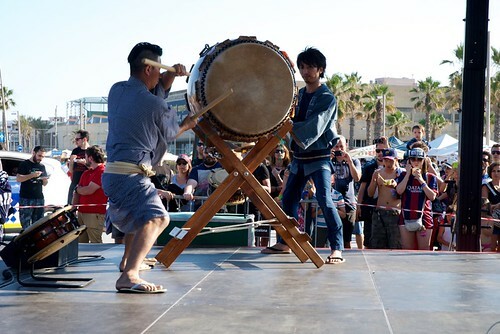 Looking forward for next year’s Matsuri Japan in Barcelona, an introduction of japanese culture and a two culture mix.